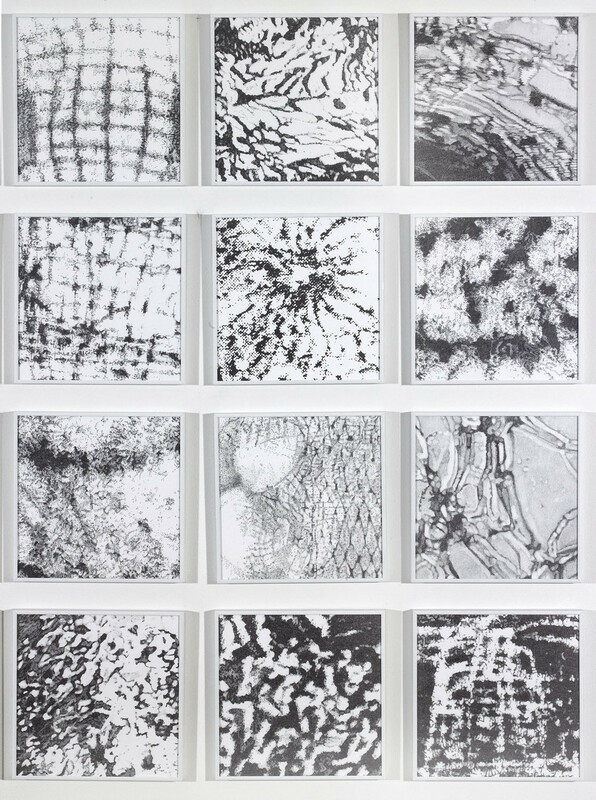 The large drawing installation, Footprints, is made from multiple twelve-inch square ink drawings, and is constructed from a process in which new images are generated from variations on previous images. 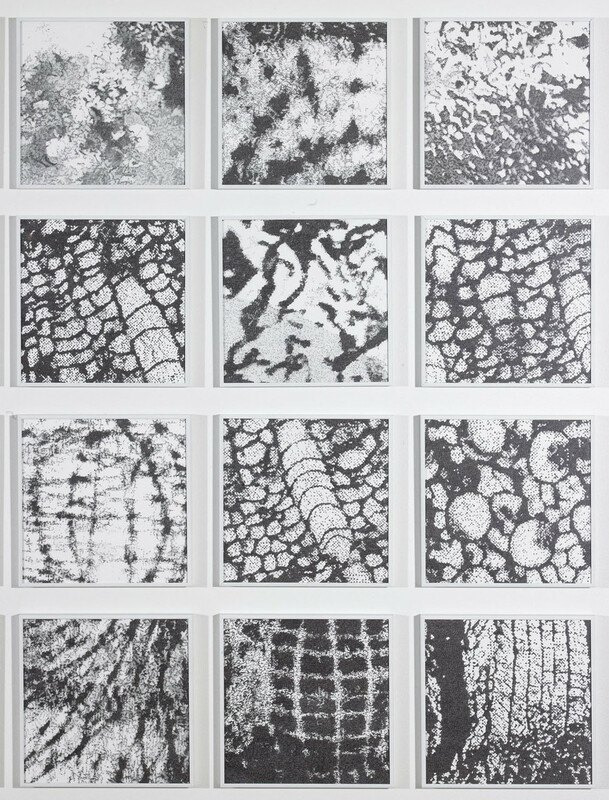 The drawing process alternates between micro and macro views of nature utilizing repetition, accumulation, and fragments of perception, memory, shifting scales, and cross references. The sequential readings lead viewers to reconsider how we see images in sections and the need to integrate or re-conceptualize how we perceive and take in visual information. 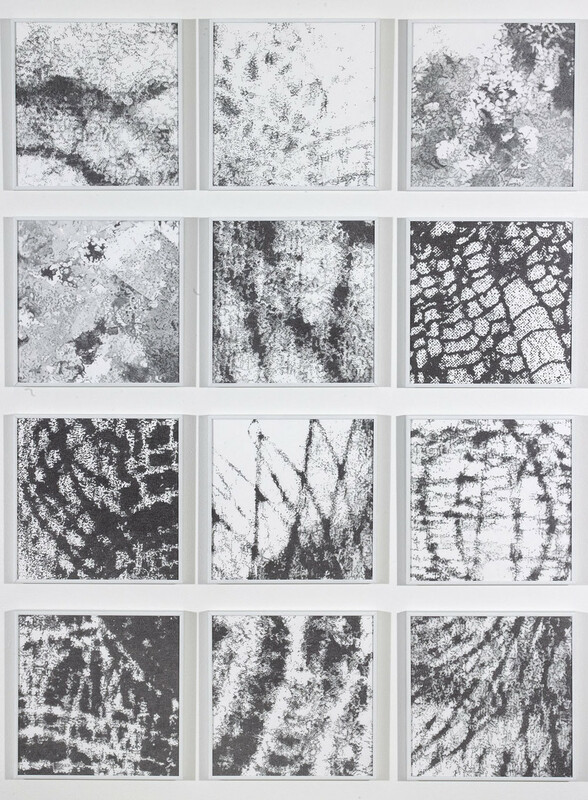 Although the installation suggests landscape due to the format and imagery, it is also intended to function metaphorically to suggest an inner world of mysterious forces and events, the beginning or ending of a process.